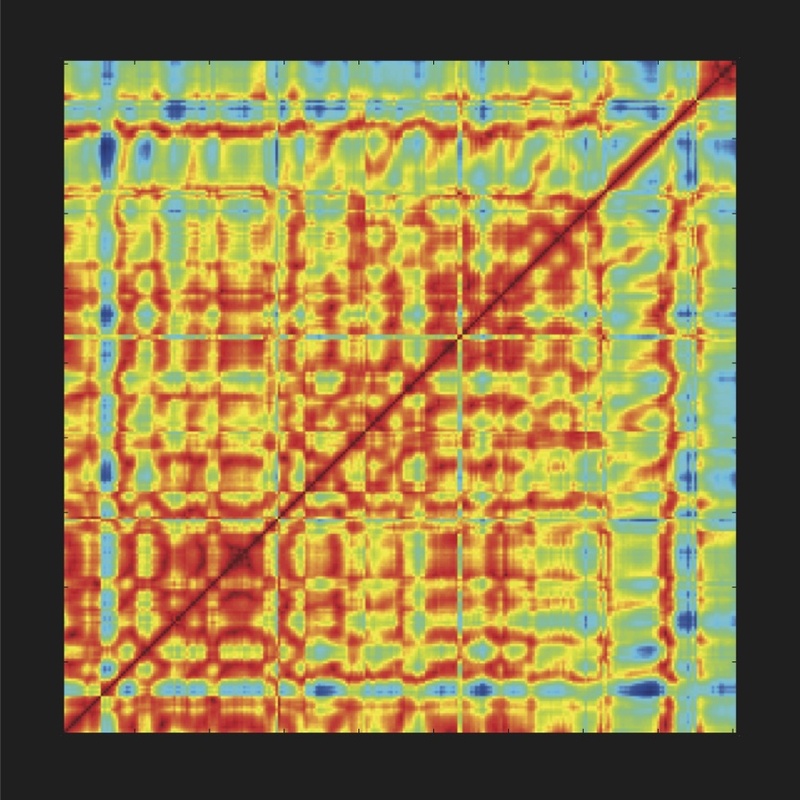 Similarity matrix of the behaviour of a mouse spontaneously exploring a novel environment. Both axes represent time and colour scales with distance between video frames. Distance is estimated via pixel intensity differences in pairwise frame comparisons. Every point in the decision timescape captures a future-to-past relationship in the action space of the animal. Locally and globally, this spatial representation of time maps all times at all lags onto a surface, allowing to visualise the complete dynamics of individual animal behaviour, therefore being an excellent conceptual tool to quantify stereotypy, variability and creativity in “thinking matter”. Nothing makes sense in the brain except in the light of action. The convolution of art and neuroscience provides here a new entry point to grasp the brain-body-behavior continuum; the extended mind expressed through beauty and measurement.